As the days draw in and the temperatures continue to plummet, it’s important to let your employees know where they stand when snow and ice hits over the coming months. Although there is no legal obligation for an employer to financially cover any periods when an employee is unable to get to work, weather events such as the infamous ‘Beast from the East’ last year are making it more difficult and often too dangerous for people to travel. Of course, it is expected that in the event of bad weather or transport disruption that employees make every effort to get to work – but it is essential for businesses to display their duty of care and emphasise that the safety of their workers must come first. An adverse weather policy should be written with your business-critical activities in mind; what are your ‘must-have’ processes and who are your ‘must-have’ people to keep your business ticking over for a short period of uncertainty? Identify these, and how they can operate if snow and ice become extreme. Ensure your policy is clear, written out and available for every employee to access. Preparation is key – dependent on the function of your business, it is usually important to make it procedure that all employees have either a company or home laptop which is checked by an IT department to have the correct systems and anti-virus software in place. This way when extreme weather keeps workers at home, your business output is not affected. Rather than taking extra hours battling the elements trying to get to work, it may be more productive (and profitable) to advise employees who live furthest away to work from home. If an employee is unable to work from home, policies should be flexible to accommodate missed days with extended working hours on alternative days, hours in lieu, impromptu annual leave or unpaid leave as agreed with the employer. Lastly, it is the duty of the business owner to ensure the workplace is safe during harsh weather conditions. 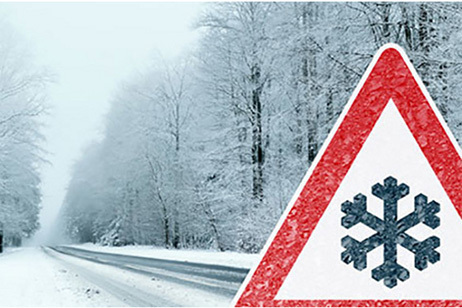 Factors such as deep snow or black ice on roads surrounding the premises and the quality of heating within the premises, should be considered to assess whether it is a safe environment for employees. If a workplace is deemed unfit for operation, a notice must be issued to all staff members as far in advance as possible.